Prelude Op. 28 No. 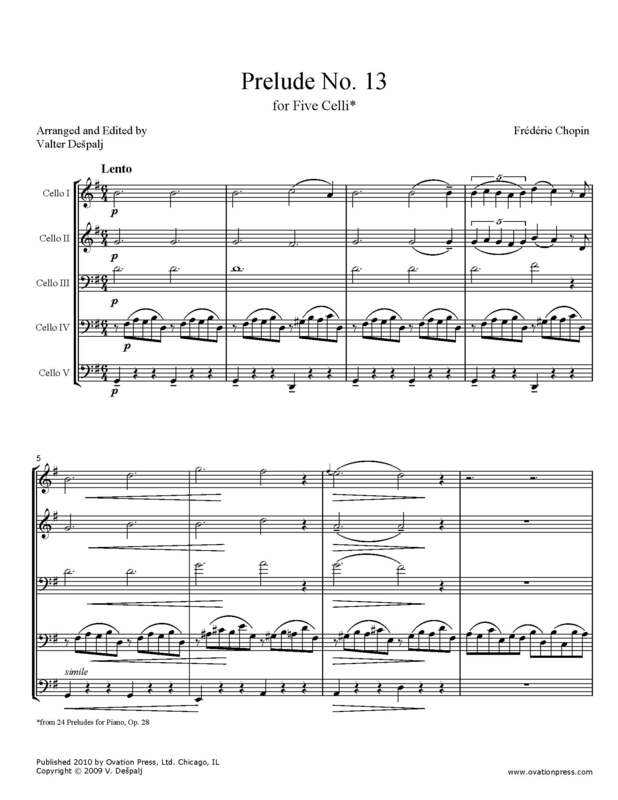 13 for piano solo has been transcribed and arranged for five celli. This moving and simple prelude was nicknamed “Loss” by Hans von Büllow. The ostinato in the bass and choral texture of the upper voices evoke an atmosphere of tender sorrow, however the sense of loss is most acutely felt in the middle section of the piece, with a highly emotional statement in the top voice. The soave ending marks the acceptance of the inevitable.